I review the list of dividend increases weekly, in order to monitor existing holdings and review companies on my list for accumulation at the right price. This exercise is part of my monitoring process. It is helpful to check the rate of dividend growth relative to the historical average. In addition, it is helpful to see the earnings performance over the past decade. Looking at these two variables shows me whether there is room for further dividend growth, and whether I should spend my time digging further into a corporation. I also find it helpful to review valuation, in order to acquire that future income stream at a discount. I review current P/E ratios relative to earnings growth expectations and current dividend yields. I use valuation as a tool to compare between different companies. 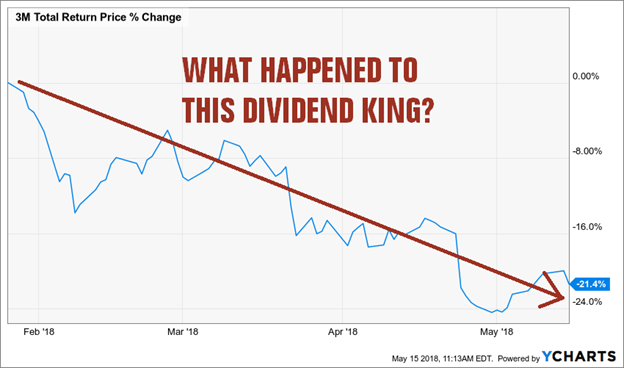 For the weekly review of dividend increases, I focus only on the companies that have managed to rewards shareholders with a raise for at least ten years in a row. That way, I focus on companies that have managed to boost dividends throughout a whole economic cycle of expansion and contraction. This indicates a higher likelihood that those businesses are resilient. In order to succeed in dividend investing, you need to have a long-term focus, follow your strategy by making investments at regular intervals and by diversifying your exposure. I believe that the ability to sit tight for a long period of time is underrated, because short-term noise usually gets in the way by scaring off the inexperienced into mindless trading action. I also believe that the ability to develop a strategy to achieve your goals, and sticking to it no matter what happens, is very important. The inability to develop a strategy would lead to chasing hot tips, and never really learning what works for you and what doesn’t ( while losing a lot of hard-earned money in the process). The following is a guest post from Mike, a former private banker and passionate investor blogging at The Dividend Guy Blog and founder of Dividend Stocks Rock. In May, we often read a bunch of articles about stats telling us to sell away and come back in the fall. As a dividend growth investor, I always found those stories strange. After all, why would I sacrifice one or two dividend payments from my favorite stocks just because *they might* lose in value? So while others are selling, I’m keeping a close eye on the market to find buy stories. Over the past month, I went through hundreds of quarterly earnings to find the most interesting stocks on the market. I’ve found many stories I liked, and I wanted to share 2 Kings stories with a happy ending for your portfolio. As part of my monitoring process I review the list of dividend increases every week. I filter out the companies that have not reached dividend contender or dividend achiever status yet. I do this in order to focus on those companies that have a long track record which spans a period that covers a recession and an expansion. The next step in the process involves reviewing the rate of most recent dividend increase relative to the ten year average. I have found that the rate of the latest dividend increase usually shows the confidence in near term business prospects for the company. I also like to review trends in historical dividend growth relative to the trends in earnings per share during the same time periods. In general, we want roughly similar rates of earnings and dividend growth over time. However, there are individual exceptions for companies in the initial phases of dividend growth which tend to start off from a lower dividend payout ratio. In general, it is helpful to see an upward trend in earnings per share over time. Future dividend payments can be in danger when we have flat or declining earnings per share. Last but not least, I also like to see quality companies available at attractive valuations. I try to avoid overpaying for future income streams. In order to do that, I have some pre-set maximum P/E ratios I will pay for a stock. These are the general guidelines I utilize when reviewing any group of dividend growth stocks, be it the list of weekly dividend increases or the list of dividend champions. All of those guidelines help me get an adequate margin of safety when selecting companies for my dividend growth portfolio. Paychex, Inc. (PAYX) provides payroll, human resource (HR), retirement, and insurance services for small to medium-sized businesses in the United States and Germany. The company is a dividend challenger, which has rewarded shareholders with an annual dividend raise since 2010. Paychex was a dividend achiever until 2009, when it stopped raising dividends during the Global Financial Crisis. Last week, the company announced that its board of directors approved a $0.06 increase in the company’s regular quarterly dividend, an increase of 12 percent. The dividend will go from $.50 per share to $0.56 per share. Over the past decade, this dividend growth stock has compounded shareholder wealth at an annual rate of 9.40%/year. Church & Dwight Co., Inc. (CHD) develops, manufactures, and markets household, personal care, and specialty products. The company operates through three segments: Consumer Domestic, Consumer International, and the Specialty Products Division. The company is a dividend achiever, which has increased distributions for 22 years in a row. Back in February, the Board of Directors approved a 14% increase in the quarterly dividend to 21.75 cents/share. Over the past decade, this dividend growth stock has delivered an annualized total return of 14.60% to its shareholders. Did you know that if you were single, and your taxable income does not exceed $38,600 in 2018, you would owe zero dollars in Federal taxes on your qualified dividend income? If you were married, filing jointly, you won’t owe a dime in taxes on qualified dividends at the Federal level as long as your taxable income does not exceed $77,200.